How do you feel about winning the awards at Ottawa and the competition you were up against? I’m really delighted that my film has been awarded these prizes. 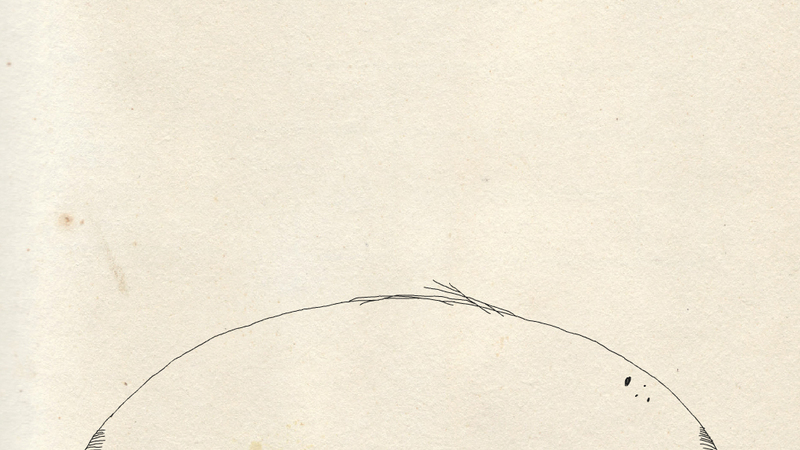 I was so pleased just to get my film into Ottawa International Animation Festival. Sadly, I wasn’t able to go to the festival because of work, which was a great shame, as I would have loved to see the other films there. I didn’t scour the internet looking at what I was ‘up against’. I don’t think filmmakers see the festivals like that. When you go to festivals, it always feels like they are a celebration of all the films there, rather than a competition between them. I don’t think it enters many animator’s minds that we might actually win something, we are just happy to be in the festival. I was certainly very surprised when an email from Ottawa arrived one night, telling me I had won two prizes, and asking for an acceptance email! What impact do you hope this will have on your career? I don’t know, my career doesn’t really exist yet, so I’ll have to see! The main thing that makes the Ottawa awards so exciting is that it is such a big festival, with so many interesting animation folks attending. It means that the film gets ‘noticed’ a bit more, which is always a good thing. The Goat and The Well has won five prizes now: these two at Ottawa (best undergraduate film and NFB public Prize), Best student film at Be There in Corfu, Best student film at Animated Exeter and Best of Festival at Ffresh. I’m sure that these are all brilliant to have to my name, and will help me in the future. I’ve been able to go to some of the festivals that The Goat and The Well has been shown at, which are really good places to meet other animators, discuss ideas, and watch films. Its also great to sit in a cinema and hear the audience’s reaction to your film! Filmfest Dresden and Stuttgart are two festivals that really stand out for me. Although they are two totally different German cities, both festivals were so friendly and accommodating. I also really liked Flip Festival, which is in Wolverhampton. It’s in a brilliant little arts building, and because of the festival’s small size, everyone gets to know everyone, which is great. I’m sure getting to know lots of people in the animation world is a good thing for an animation career! I’m at the Royal College of Art in London at the moment, studying for an MA in animation. I just started my second year here. Its an exciting time because we are all developing our final films, its brilliant to see them all start to take shape. My film is going to be about people. It will be more observational, and less formally structured, than The Goat and The Well, though it will still be character-based. I want it to exploit the spatial ambiguity of drawn animation: the white paper ‘void’ that can be anything you want it to be. (I have just completed my MA thesis on this topic.) I want the new film to be funny, and it is especially important to me that it is actually entertaining. I absolutely don’t want to make a ‘really arty film’ that nobody understands, just to make myself feel smug! Any inspirational notes for those currently studying animation? You can sit in a dingy room for a year or two scribbling away, and then, a few weeks after your film is finished, cinemas full of people, on a totally different continent, can be enjoying it. Its a great tool to boil things down. You only show what you need to show, it can be very simple, minimalist and economic. In the best films, that simplicity hides something that is actually very poignant or complex. Mark Baker’s films are an amazing example of that. It is an excellent way to create performance. You have so much control over every movement, and you can make every gesture count. An animated character is entirely ‘fake’ but it can seem more real than reality! It’s a perfect medium for comedy, but it’s equally perfect for tragedy. It is a medium where anything is possible! Thanks Ben! Please keep in touch. Ben Cady’s graduation film The Goat and The Well is one among many awarding-winning animations available to watch in our Hall of Fame gallery. 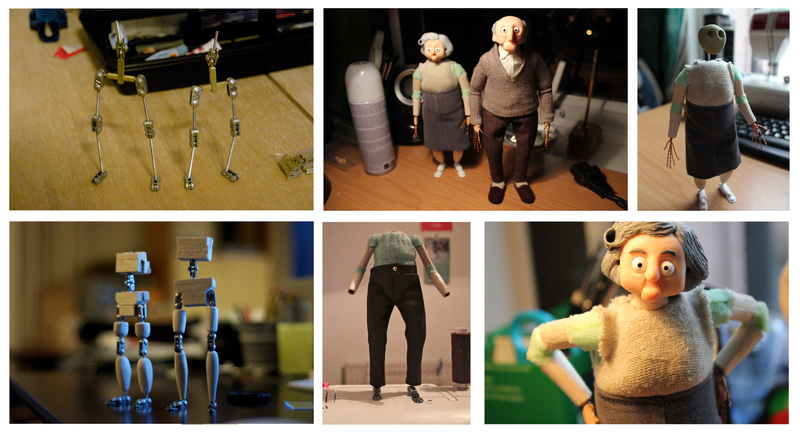 It appears that the hard work has paid off for two BA Animation graduates of the University of Wales, Newport as their equally quirky stop-motion short films are selected to compete in the International Encounters Film Festival 2011. 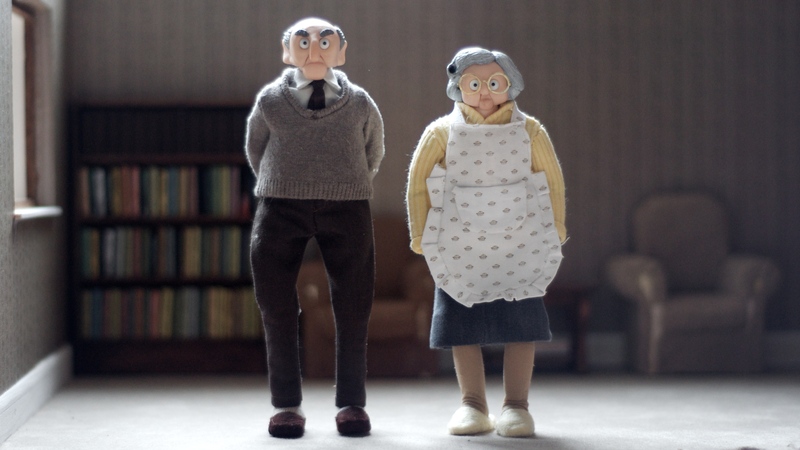 The hours spent making intricate models and sets, animating, directing and editing have produced two highly imaginative graduate films: ‘John and Betty’ by Alex Hancocks and Luke George, and ‘The Man Who Was Afraid of Falling’ by Joseph Wallace. 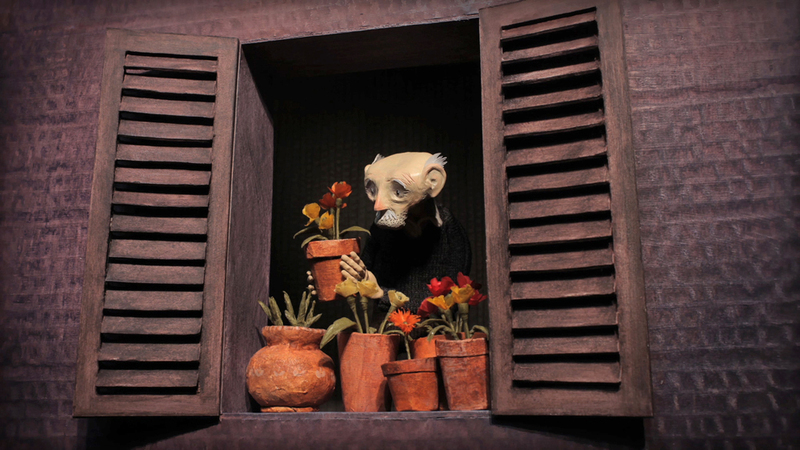 Both films will be screened at Animated Encounters, which takes place at the Arnolfini Theatre in Bristol from 16-20 November 2011. The films will be eligible for the festival’s Grand Prix Award with its prize of £2000. 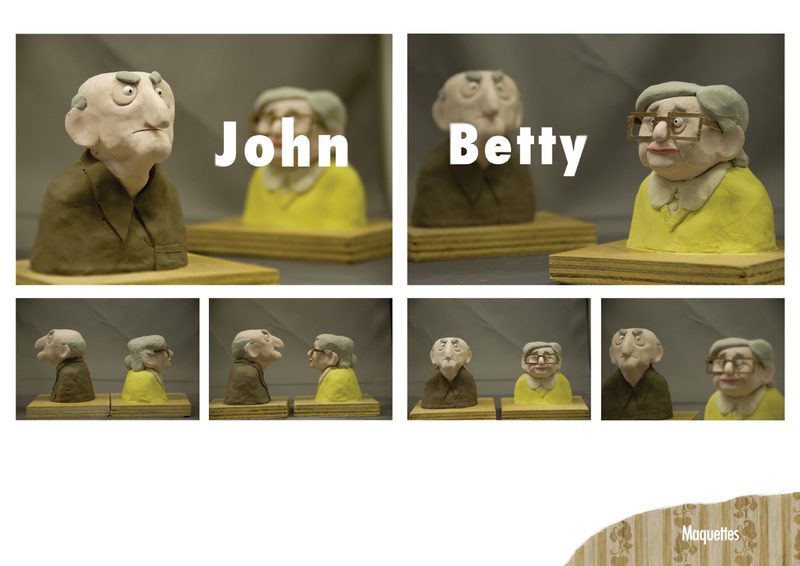 ‘John and Betty’ is the tale of an elderly couple who are happily married until John’s un-healthy obsession with solving crimes leads him to grow dangerously suspicious of his wife. ‘The Man Who Was Afraid of Falling’ is described by filmmaker Joe Wallace as a four minute short about an old man whose life is transformed after a falling plant pot sparks a bizarre series of paranoid reactions. 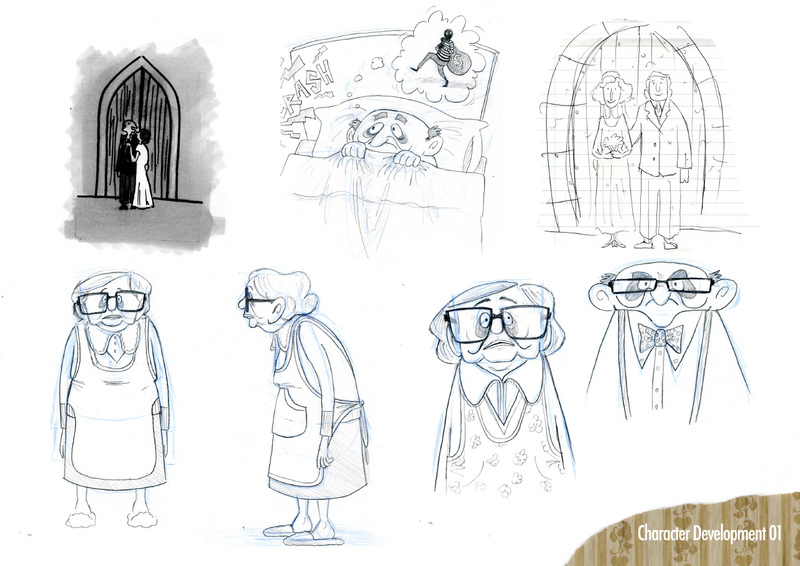 The film has sparked interest at several other festivals, including Canterbury Anifest where it is in competition in the categories of Best British Film and Best British up and coming Animation Talent. Read more about the film and Joe’s creative journey here. 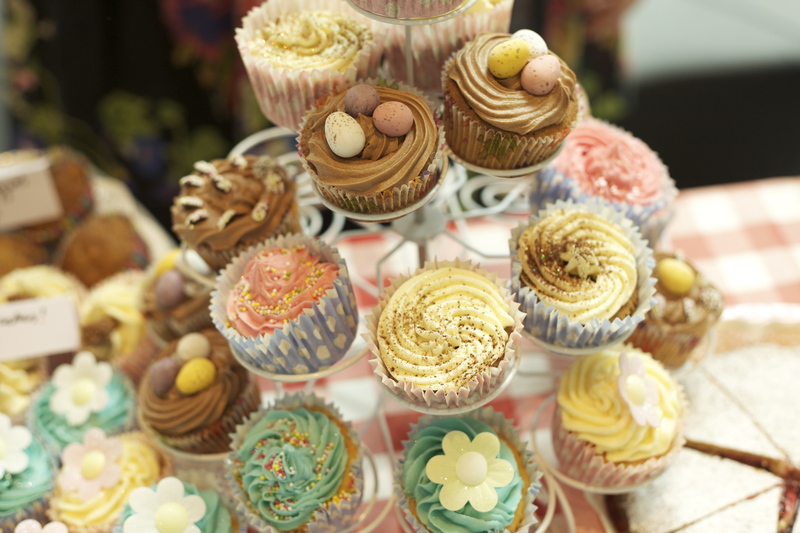 Meanwhile, the BA Film & Video students and graduates at Newport have also been pretty busy. We would like to offer our congratulations to Craig Lewis, UWN BA Film & Video, whose film ‘Solitude’ is being screened at the Portobello Film Festival in London this month. Also, congratulations to Keri Collins, a UWN Film and Video grad from 2005, whose latest short film, ‘Funday‘ has been selected for this year’s Raindance Film Festival. The film was shot by recent UWN graduate Craig Dean Devine, and produced by other UWN MA grads Stephen Hanks and Ryan Hooper. The film was described by Tony Grisoni (Writer of ‘Fear and Loathing in Las Vegas’ and ’Tideland’) as “Deliciously melancholic”. 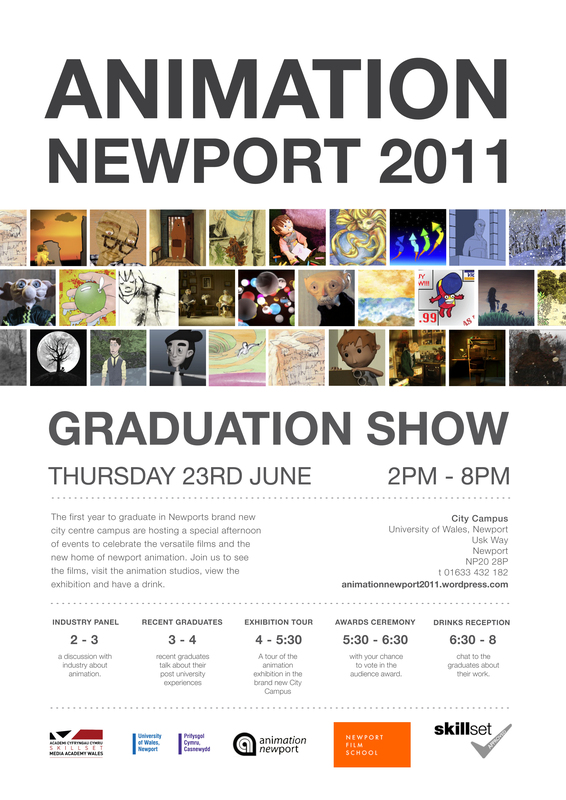 We are proud to announce the Animation Newport 2011 Graduation Show on Thursday 23rd June to which all our industry friends and partners are invited! This is a chance to check out the stunning and diverse range of work produced by this year’s talented crop of students, with a complete spectrum of animation production on show—from 2D to 3D via 3D stopmotion! There will be a programme of events, including an industry panel discussion (to coincide with the Newport Transform@Lab), plus ‘Where Next?’, a panel featuring graduates from the last ten years talking about how they got into the industry. Invited speakers are graduates currently employed at Aardman, Double Negative, Tinopolis, Framestore and Dinamo among others. There will also be a chance to wonder around our award-winning new City Campus, soak up the ambiance and admire the work. Most importantly, the awards show and drinks reception will kick off at 5.30pm. Please RSVP to animationnewport2011@gmail.com to reserve your place at the awards show—we hope to see you there! Facebook event now scheduled here. Not only is our award-winning course fantastic, we are also mightily privileged to be housed in a purpose built, award-winning new building. Can things get any better? Well actually, yes they can. With a great new building comes great new equipment forging great new opportunities. We think so, our students think so, and I hope you will think so to. Thank you students (and one staff!) for your contributions and special thanks to Alex and Luke for your continuing efforts! Our third year students are brilliant! Really, truly fantastic! So brilliant in fact they have created a blog space dedicated to promoting their graduation films and degree show activities–yay for them! Join us in celebrating just how wonderful they are by checking out their promotional trailer and student profiles. Check back soon for more information regarding this years’ degree show and screening activities. Further info available at animationnewport2011.wordpress.com. As part of our on-going commitment towards providing students with an excellent learning experience, we thought we would share some of our student’s thoughts with you. Here we discuss with two final year students, Luke George and Alex Hancocks, their work, inspirations and aspirations. Animation Newport: Hello both. Would you like to tell us a little bit about yourselves? Luke George: I’m 22, originally from Redhill in Surrey, and there isn’t much else I’d rather do than use my creativity in some form or another. At school my first obsession was drawing uncontrollably doodling over every scrap of available paper. Alongside drawing was sculpture, I have always found translating my ideas and drawings into 3D objects very satisfying. After Santa bought me a small television for my room I would regularly get in trouble for staying up into the small hours watching anything and everything that the then four channels would throw at me. One year, my granddad bought himself a video camera which, naturally, I claimed as my own! I would often borrow it off him to make little films and very crude stop-motion animations with my toys, pressing the record button twice as quickly as possible to get my frame. With my love of film and art, animation was an inevitable choice. Alex Hancocks: My first experiences of animation came while I was very young and I started making very crude short films using toy cars and bits of plasticine. 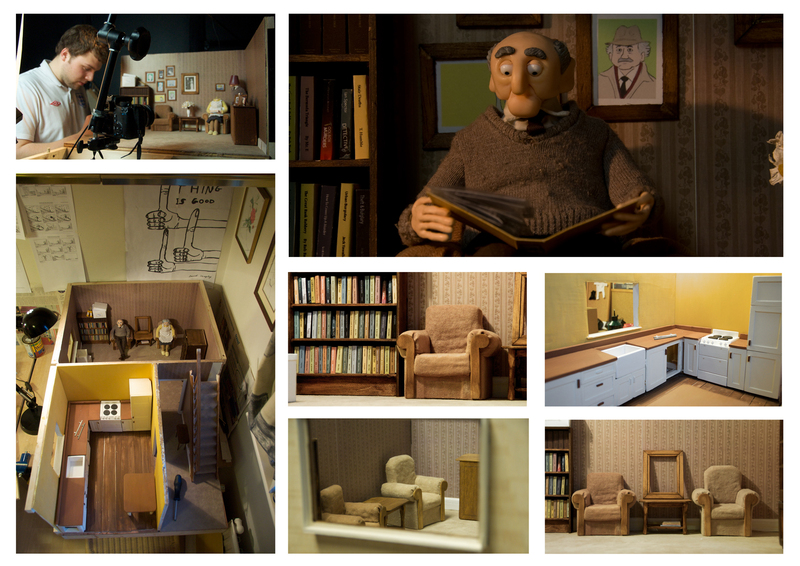 When I got to school I decided to try and make a proper film called The Shed with sets and puppets etc. The film won first prize in the national competition BECTA Creativity in Digital Media Awards 2005. It was then that I decided this was what I wanted to do. 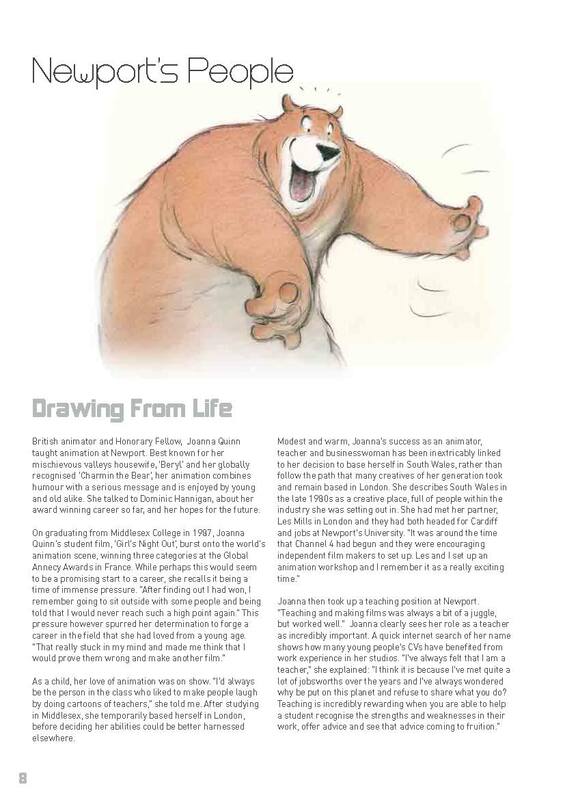 AN: What led you both to study animation at University of Wales, Newport? AH: Having been down to visit Aardman I had asked about universities and the best ones to look at, I had also been looking at the Skillset website and their accredited courses which is where I saw Newport. I went to various open days and interviews and the one that stood out to me by far was Newport. LG: I looked at many potential universities to continue my path to becoming an animator, and Newport stood out to me as the most exciting and interesting option. The reputation was strong and the freedom of creativity they seemed to offer was very appealing. I had decided after my interview that it was the right place for me, and luckily, I was offered a place. AN: You are currently in your third year working on your graduation film. Can you tell us a little bit about that and why you chose to work together? LG: Our graduation film is about an old couple who are retired, and happily married until the husband, John, grows un-justifiably suspicious of his wife, Betty, and events unfold to a dramatic conclusion. 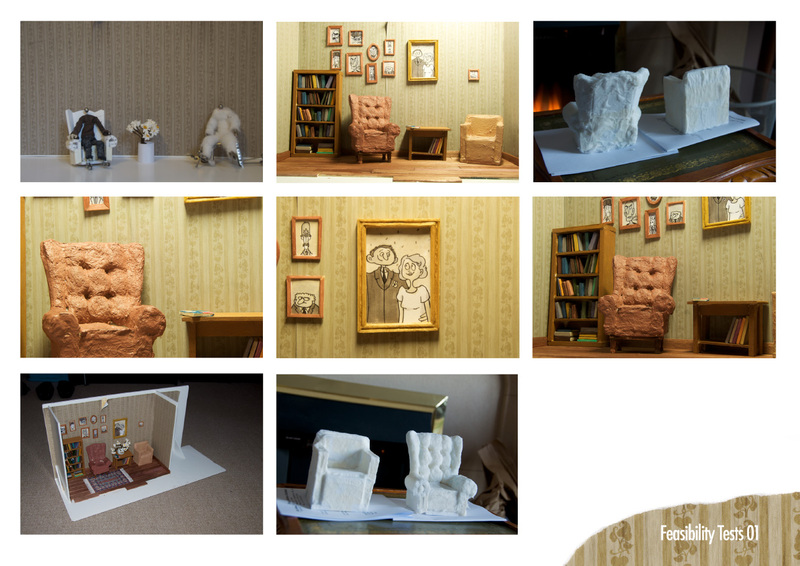 It is a stop-motion film with just two characters. After the initial idea pitching session at the start of year, it was brought to my attention that my film was ridiculously ambitious for one man to complete. I then decided to approach Alex and proposed the idea of us joining forces, to which he agreed. Our outlook, and vision for the film were similar, and we had briefly worked together before to good effect. His idea had a good plot, but lacked distinctive or believable characters, whereas mine was the exact opposite, so we put my character as the lead man in his film, and the rest is history. In reflection, it was certainly a good idea to work together, as it has not only enabled us to be more ambitious, but has richly improved the creative process, I would highly recommend to any future third years to seriously consider it. AH: We started out working separately on different ideas. After the initial pitch however we saw a similarity between both of our ideas and our influences. We found our ideas would merge together really well, so we decided to team up and I can honestly say that so far it has been a fantastic decision and I can’t understand why more people haven’t done so! Like Luke says, I would highly recommend future third years do the same. It really helps in terms of the amount you can do as well, we can delegate tasks and each take responsibilities. I, for example, have taken responsibility for building the set while Luke has been focusing on making the puppets. AN: Sounds great. So what do you hope to do when you graduate? AH: I plan to try and get a job animating somewhere, try to gain some valuable industry experience so that one day I might direct some of my own films. I also plan to try and enter the film into as many festivals as possible to try and get myself noticed. LG: After I graduate, I hope to find success in festivals and a career in model-making. 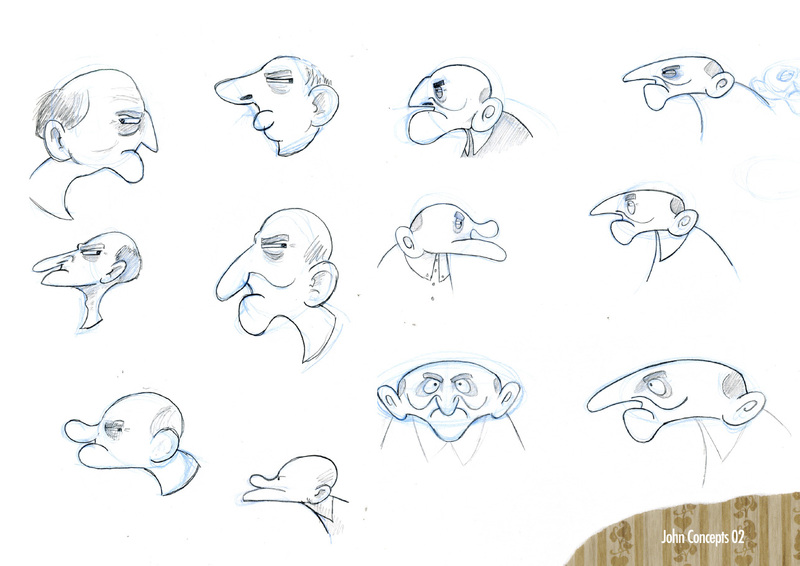 The puppets for our grad film have been my responsibility, as this is the path I’d like to start on at least. Although I do enjoy writing, directing and animating, I feel my main strength and source of fulfillment is in character design and model-making. AN: How do you think Newport has helped you so far? LG: Newport has been instrumental in my development, as it has provided a place for me to develop my own ideas and skills in a free and creative environment. I have been pushed to improve and strive for perfection. Having such a diverse spectrum of peers has helped a lot also, as it has allowed me to see other styles and ways of doing things. Newport has also been great for preparing me for the big, bad world, as they tell you straight what the industry is like, and how to go about seeking employment. AH: I think that Newport has really helped me to question the work that I do and the way that I work. I think over the three years I’ve really learnt to appreciate how difficult it is to create a successful film and I have constantly been encouraged to step outside my comfort zone when working and to create films in ways that I wouldn’t usually think about. This has, on some occasions, worked really well, on others it has resulted in failure but all of these situations have taught me something, and even the mistakes have been invaluable lessons. Also, the connection with Skillset Media Academy Wales and the location of Newport itself is a really positive aspect, which gives us loads of opportunities for work placements, studio visits and masterclasses etc. 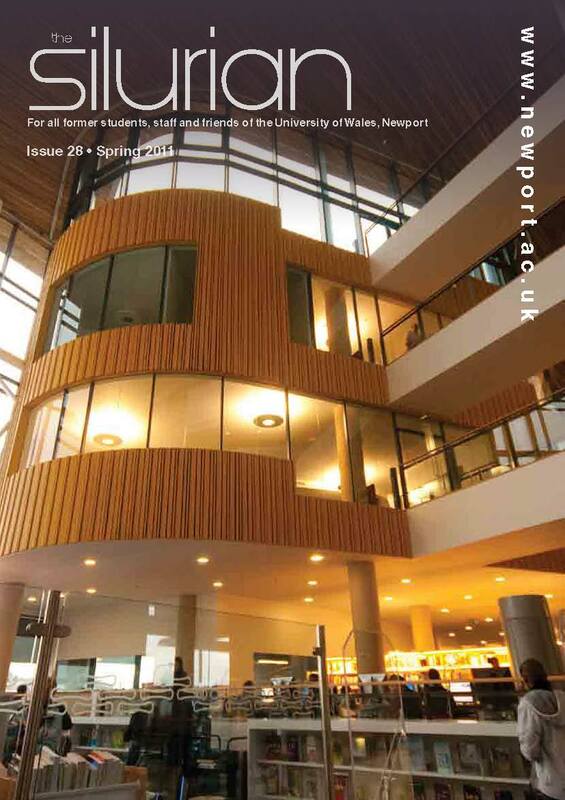 AN: What’s the best thing about studying at Newport? AH: I would have to say that the best thing would be the diversity and the focus on storytelling we have here, we’re not forced to study just one medium such as traditional drawn animation or computer-generated imagery for example. Instead we are encouraged to first develop an idea and then pick the style or technique that best supports that idea. This is certainly clear to see as we move into the third year and everybody is creating their graduation films, there seems to be a real variety of different styles and techniques, instead of thirty-odd people all creating the same thing. That might be what some people want but not what I want. I want to be telling great stories and entertaining people. Here at Newport everyone’s different, different stories, different techniques, different people. LG: The best thing about studying in Newport is the sense of community spirit and diversity, especially within the animation course. AN: Thanks for your time and good luck with your film! Luke and Alex’s graduation film entitled Pie is currently in progress. To follow the action as it unfolds please visit lukeandalex.wordpress.com. Animation students at Newport’s University are looking forward to seeing their work featured across the UK on BBC FOUR next week, after completing an exciting collaboration with BBC Cymru Wales. The Children who built Victorian Britain (Tuesday 1st Feb 9pm, BBC FOUR) uncovers new evidence about the lives of British child workers during the industrial revolution. Newport students worked with staff from the BBC Cymru Wales Graphic Design department to produce a fresh and creative take on the challenge of illustrating historic experiences prior to the age of photography. The animations illustrate the testimonies of child workers across Britain during the industrial age. 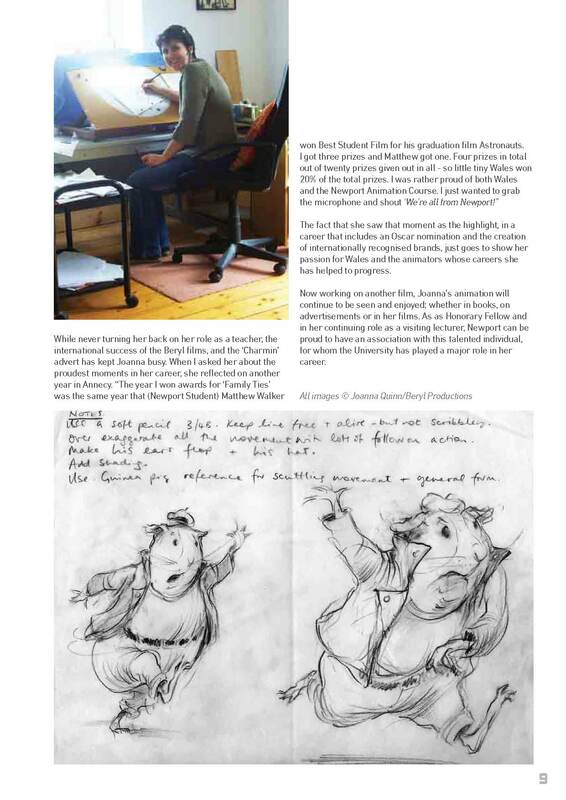 “This collaboration allowed our students to work with some of the most creative and professional animation teams in Britain. Further information and a selection of the animated clips can be found here. 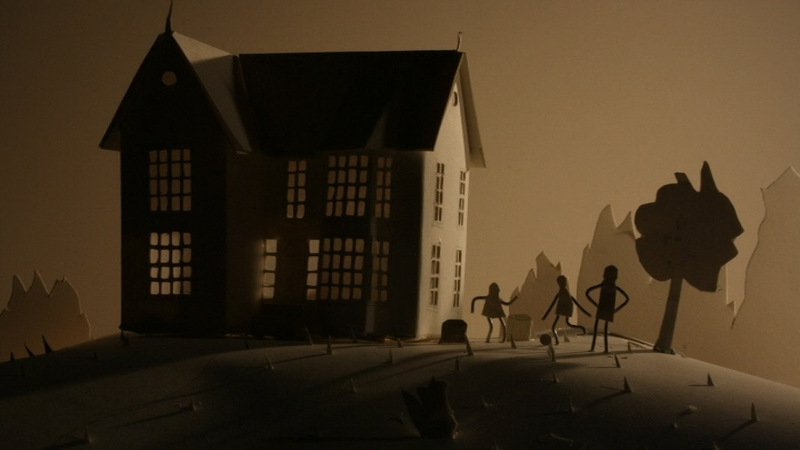 Animators, documentarians and fiction students from Newport Film School are celebrating an unprecedented 17 nominations (including every nomination in the ‘factual’ category), for the 2011 Ffresh Student Moving Image Festival of Wales. Newport is well placed to scoop the major film awards in both the under-graduate and post-graduate categories. The judges (all industry professionals) for this years competition also heaped praise on the entries from Newport. “The film displayed a certain sense of poignancy and melancholy … whilst managing to retain a childlike sense of play,” wrote one judge. “A lovely film, beautifully crafted. A love letter in the form of a poem. The editing was purposeful and the images truly compelling, creating a unique world. Inventive and inspiring,” enthused another. Newport film students took 6 awards at last years Ffresh Awards held at the Aberystwyth Art Centre, including ‘Best In Festival’. “What is clear, is that the quality of the work at Newport is very strong,’ said Maggie Russell – the Chair of Ffresh 2010, “and I think the thing that I’d mark out about the films at Newport Film School is that they have a story”. Graduates from Newport Film School are working right across the film and television industry in Wales and beyond. Earlier in the year Hollywood based writer/director Sara Sugarman contacted the film school and was greatly impressed by the standard of the work. Students from Newport have also been shortlisted for the 2011 Royal Television Society Student Awards (The winners of the RTS awards 2011 will be announced at Ffresh). Newport documentary students have won the ‘Best UK Student Documentary’ award for the last three years in a row. “The films submitted by Newport to the RTS Student Awards consistently win not only the RTS Wales but also the Society’s UK awards competitions’, said Tim Hartley from the RTS, ‘the students themselves are well motivated and regularly attend RTS events where they readily engage with industry professionals. We are lucky in Wales to have an independent film school like Newport which ensures we continue to produce the next generation of film and programme makers”. The Ffresh Student Moving Image Festival of Wales will be held at The Atrium (University of Glamorgan) in Cardiff (9-11th February 2011) and boasts an impressive selection of masterclasses and guest speakers from the film and television world – as well as the all important awards. 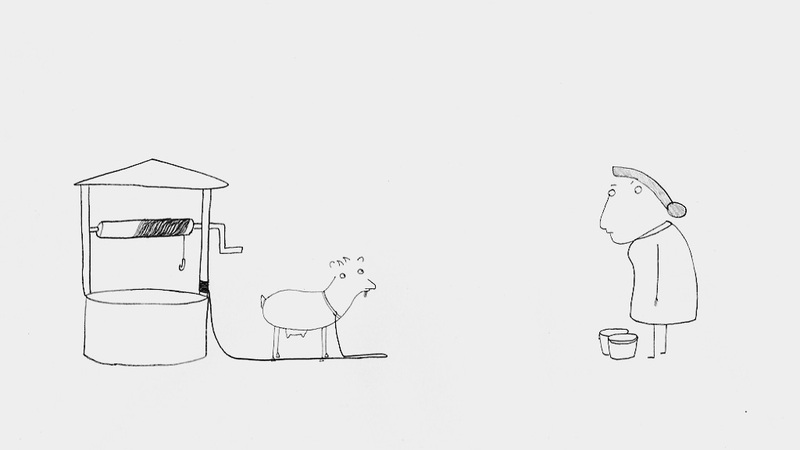 A determined little goat, tethered to a well, causes endless problems for a short-tempered milking lady. Old houses hold memories and stories of all their past inhabitants. An abstract study of the perfect wrestler. He dreams are consumed by the anxiety of being perfect. Will his innate obsession with success be his downfall? Stop! Look! Wait! Look again! A wonderful Welsh holiday resort to a beautiful, but tragic mess. This documentary tells the story of Barry Island and explores its history and its slow demise in modern times. It’s a place that is now known as the home of Gavin and Stacy, but it used to entertain thousands of tourists with its clean beaches, pleasure park, and Butlins Holiday Camp. This used to be a holiday resort, where has it gone? A documentary focusing on a couple celebrating their personal views on marriage and how closely they feel about each other. Short films exploring the relationship between the postal service and its customers. Terry was homeless and struggles with an alcohol problem. In this film, he talks about his life, his family, and his experiences of living on the street. He then watches a film of himself when he was living in a park and the brink of hypothermia, and discusses how his life is changing. When John wakes up in hospital, he not only has no memory of his accident, but also struggles to remember who he is. When a mysterious visitor arrives to shed light on his past, John struggles to reconcile what he learns, while his nurse makes romantic advances. A young man deals with his inner demons after his most recent relationship falls apart. Based on the poem from an unknown child runaway performed by pieces of litter from around the city of Newport. After catching a glimpse of a late night horror film depicting a serial killer terrorising a young child’s house, 7 year old James is let traumatised. Isolated and alone, can the youngster differentiate between fiction and reality during a weekend alone with his estranged aunty. On a small beach in West Wales an Ice Cream vendor explains whats makes the place he lives and works at special. Letter from a mother to her children; a tender expression of the inner world of a parent, her secrets and worries about the future. We are massively proud of the work our talented students produce here at Newport and it seems it is not just ourselves who appreciate the products of their labour. We can think of no better way to celebrate the launch of our new blog site devoted to showcasing our students’ work than to celebrate how others choose to celebrate our talent. The animation festival circuit is of vital importance – for us, the very heart of the animation industry as a whole. Not only is it a great way to showcase new talent, but also—and perhaps even more importantly in this age of “social media”—as a way to get to meet people, face to face, in person. Without developing “networking skills”, many of our would-be-directors-of-tomorrow may well never get their work seen by those that really matter, the industry. So it is somewhat overwhelming to discover that not one, not two, but THREE of our multi-award-winning graduate films (plus one additional film made by a graduate after he graduated!) have been so highly honoured as to be included in Acme Filmworks’ The Animation Show of Shows! Since 1998, The Animation Show of Shows has selected the best in animated short films from the world’s most renowned animation festivals and presented them at the major animation studios to inspire their animators and directors. 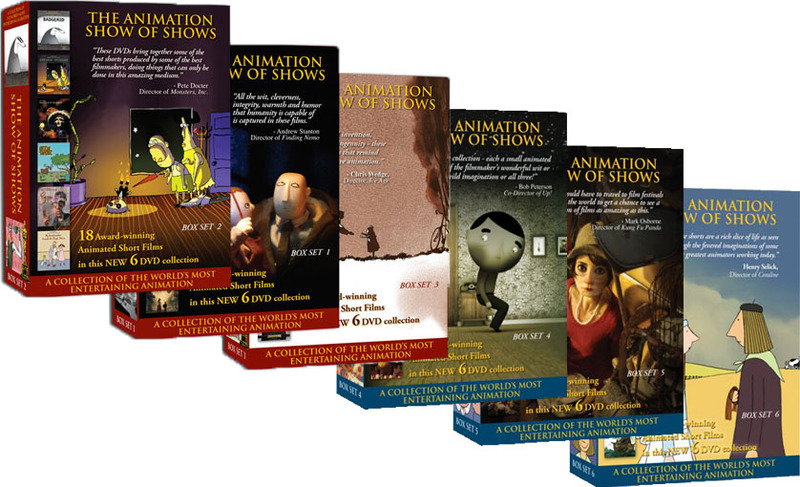 Now for the first time ever, the films featured in The Animation Show of Shows are available in this special DVD collection along with some of the most memorable animated short films of all time. – Pete Doctor, Director of Monster’s Inc.
– Bob Peterson, Co-Director of Up! Check out the AWN Store for more details and full listings.